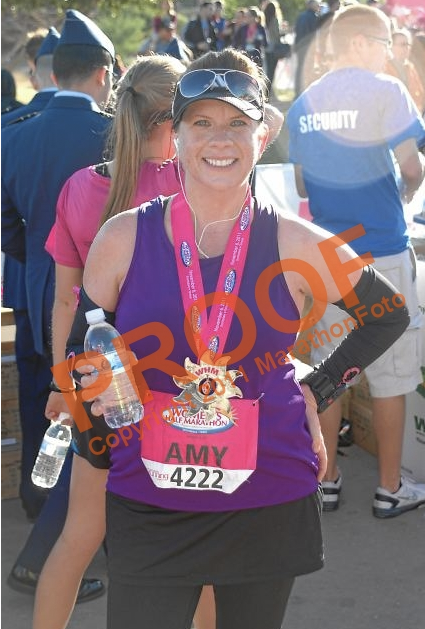 Since my last post about the Vegas race, I've run another half marathon, a FULL marathon, an awesome FUN color-filled 5K and my fastest 5K to date! And I've recorded none of it. I'm deep in the panic-y final preparations for my first ULTRA event (Ultra-ish), the Ragnar Del Sol Relay where I'm sharing 200 miles with 5 other amazing women ... and I'M SO EXCITED! I'll catch up on here very soon. I'm working on some new life changes to attempt to regain some balance again (it's always a struggle isn't it?). 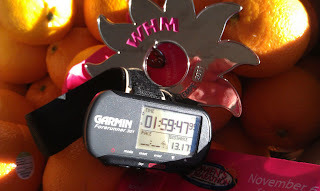 I just entered a Winter 100 Challenge to win a new Garmin ... fingers crossed! My old Garmin took a big hit when I took a trail fall and it's currently glue-gunned together. An amazing friend gave me her Garmin to replace it but it's battery operated (and not rechargeable) and not uploadable -- and I really love tracking my miles -- so I'm hoping eventually to upgrade. I was easily over my 100 miles and still have another 33+ to go Friday and Saturday of this week before the contest ends. I hope you're embracing life! 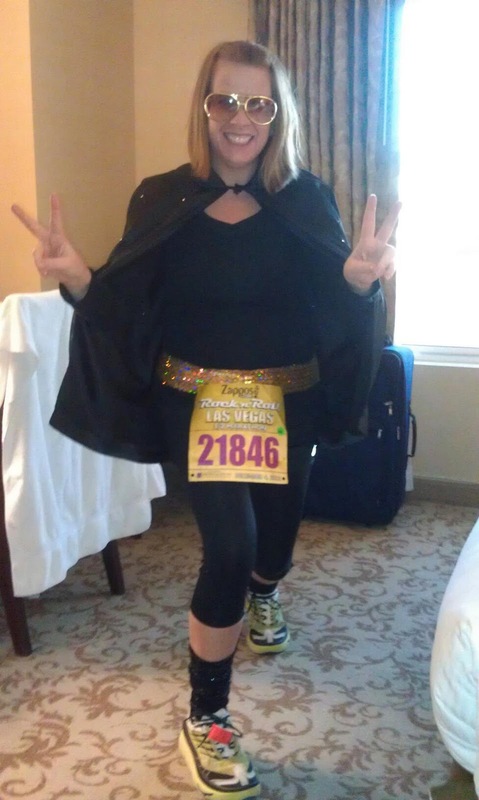 This weekend I completed half marathon #10 in the fabulous Las Vegas. Why not do a crazy one for #10, right? I signed up for this race while in San Diego for the Rock n Roll Half Marathon there. It was expensive but when I heard they were shutting down The Strip at NIGHT for the first time for this ... I had to. High Five! And got ready to ROCK! Then we met up with some other friends who were in from San Diego and Detroit for the race as well. Stayed out late but nothing TOO crazy (in my book) - just catching up with friends. Sunday was weird. The cool thing about a night race is that you can sleep in and you have all day to get yourself ready, hydrated, rested and fueled. But really, what do you do? What do you eat? We just sort of made it up and kept the day as relaxing as possible. And before we knew it - it was race time! And I had to get my Elvis on ... 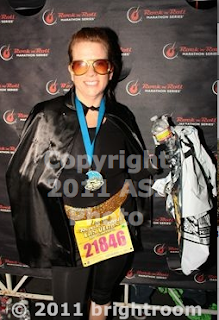 I didn't go whole hog Elvis, I just went Elvis-inspired with a bedazzled "A" on my cape. But I was pretty awesome. We walked through the casino to quite a few looks of awe. I'm sure it was awe, wasn't it?? We made our way about a mile down to the start line and caught part of the pre-race Cheap Trick concert - they sounded great! I like the idea of doing it before the race. It was CROWDED. 44,000 racers? I expected it. 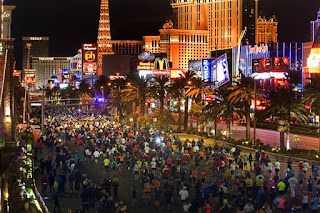 Here's a picture from a local newspaper of the racers headed down The Strip. Since I've broken so many of my own records this year, I qualified to move myself up in the starter corrals. I originally planned to stay with my friend Laura, but she had just returned from a European vacation and was feeling jet lagged and wanted me to go off on my own at my own pace. My NEW predicted finish of 2 hours put me in either corrals 9 - 14. I'm always so afraid to commit to something I can't do and didn't want to jump into a corral I didn't deserve and so I chose 14. Silly silly me. First, there clearly were lots of people who didn't have those same thoughts. 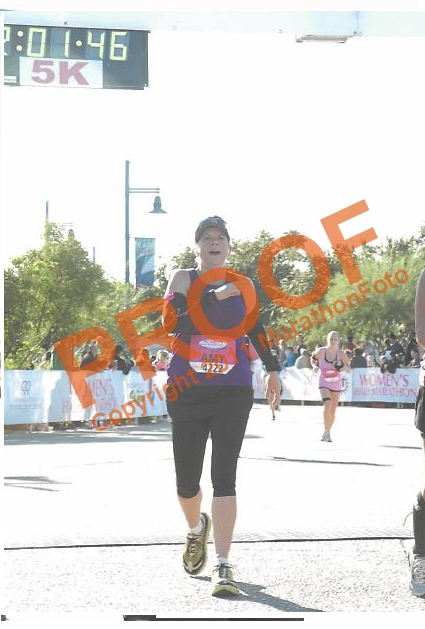 I spent the entire race passing people. People who had no business being that far up or that far over left ... but nevertheless. I loved the energy of this race. I loved talking to other runners about their experiences and their expectations and why they love running. I love watching people help each other out. Yes, there are the rude people who push their way past you or won't walk back the 10 feet to the corral opening and climb over and kick you in the head (2 men in a row did that - the second AFTER he saw the first guy kick me) but the good moments outweigh the bad. I loved running on the strip at night. So many people cheering. The lights. The energy. The drunk spectators were HILARIOUS. I liked the one guy who kept yelling at everyone that they were going the wrong way and then bending over with mirth at how funny he was. The bands were great (especially the Social Distortion cover band!). I had a great time. It was difficult constantly negotiating the crowd and frustrating when I got boxed in by people running together. But I wasn't bored. EVER. 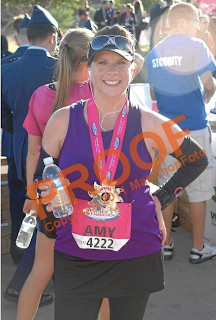 I felt like I was sprinting a lot and really started to wonder if I could get a new PR, even though I hadn't really set a goal for this race - Vegas was all about fun for me. But I really thought I was doing well - I didn't check my Garmin though until almost the end. I felt that if I didn't watch the street and the other runners at all times, I could really hurt myself. At miles 11-12 I was spent and took a couple walk breaks to check my Garmin - I wasn't going to break 2 hours so I just continued along. Even to the last .1 where I usually sprint it in, I was still trapped by the crowd. Crazy. But I came in to the band singing a little Beastie Boys - and that was cool and a good way to wrap it up. Once I finished - it took a while to get out and I was FREEZING. But I really thought for 44,000 people it was pretty well run. My expectations were low. Don't get me wrong - 44,000 people is TOO many for that space - they could go smaller and make it a little tighter. And I was SUPER lucky. People behind me really ran into issues and there were some horror stories to be told. The Competitor Group has some work to do ... but my experience was good. 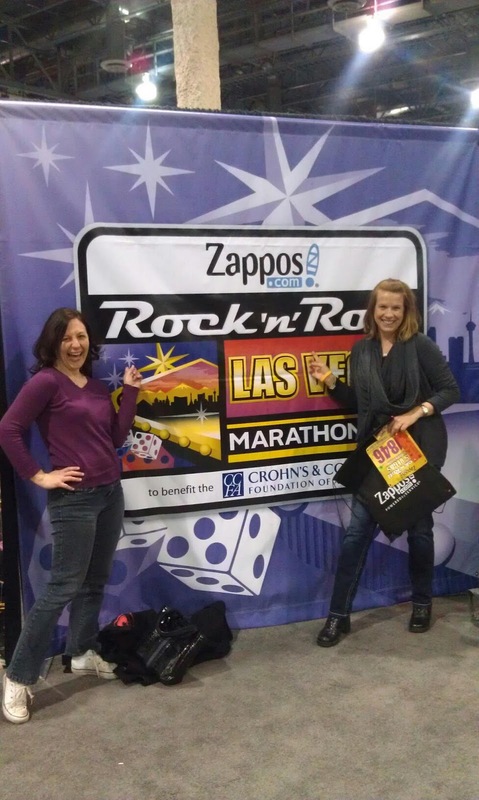 I probably wouldn't do this race again - but it's the same reason I didn't want to do the Phoenix Rock N Roll again. It's too crowded for me and cost too much $$ to have to fight that many people. 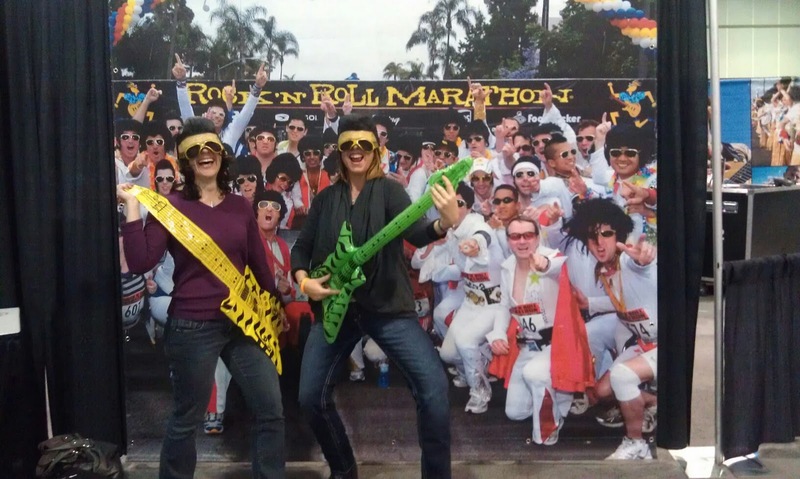 The Rock N Roll series are good for first timers but I'm ready for smaller more local races. My official race time: 2:06:33. 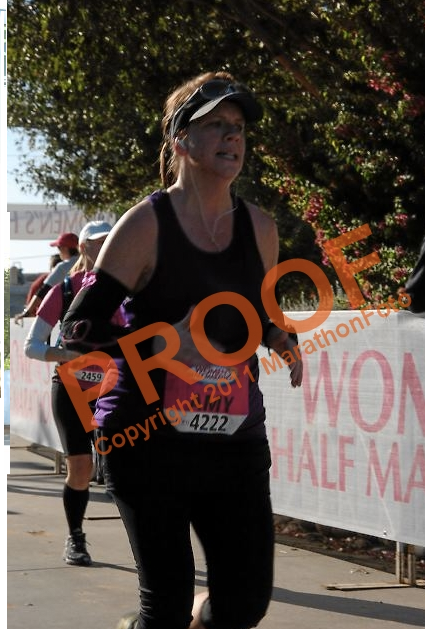 But my Garmin tells me I ran 15.1 miles (dodging 44,000 people) at an 8:20/pace. I WAS booking it - no wonder I was tired! So if I didn't have the extra miles, it probably would have been a new PR. Next time! 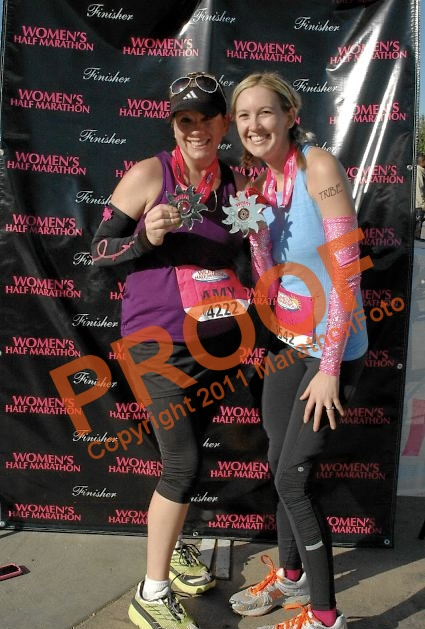 Even at that time I still finished in the top 22% overall and in the top 14% of females and my age Division. Pretty amazing for a girl who just signed up for these things to finish. Yay! And I .... am not. I don't typically take good photos. 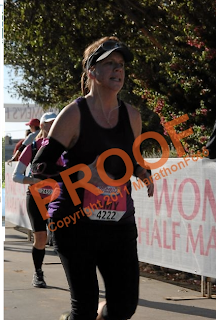 I just looked through her adorable Women's Running Magazine pictures and then ... mine. When I told you I left it all out there ... now you will believe I MEANT it. I look like I'm getting teeth extracted with no laughing gas! to think it was the longest .1 miles of my life! Now I'm starting to recover! Maybe I can take lessons from Mandi! How do I know? Because I'm not doing it ... and I feel yucky! And then I came home and my Keurig needs to be de-scaled or returned for repairs or something ... and so I had a few MORE lattes. Oh? It's pumpkin bread season? I could have a slice, I *did* run a marathon after all ... slide, slide, slide. So now I'm sluggish. I've had two starts of colds. I've had heartburn for days and my tinnitus is worse than it has been in a long time. I'm tired. SO. it could be the change in weather. It could be that I hit my 40 hours this week on Wednesday and I'm stressed to the hilt. It could be I'm worn out from all the running and traveling and stuff. But I'm willing to bet it's mostly diet. Time to get back on track. I guess it will be Monday. I've put a lot of people off while I've been cleaning up and working out. I've got an Ultra Team meeting tonight at a pizza place and I PLAN to have a slice and some vino. I've got plans with a friend for a lovely fondue restaurant (Happy National Fondue Month!) Friday night. And my friend Brad has been patiently nudging me about the Indian Food coupon he bought and we're going Saturday night. Sunday it's crazy Cruiserman race day and then I shop, chop and cook and I'm BACK ON. Don't get me wrong, my toes never fully healed from the marathon and so I had to do a little surgery and some blood-letting last night - my toe is sore. Aaaand I broke the "no new things on race day" rule and the area where I lost skin due to the rubbing of my new arm warmers is sore. I appropriately earned my medal with a little pain. Come to think of it - I wasn't really that sore after the marathon either! I thought it was because I'm faster and spending less time on my feet on the course - or maybe because I'm in better shape. But I really think it might be the SHOES. Ever since my return to running as the newer stronger Amy, I've been experimenting with shoes. 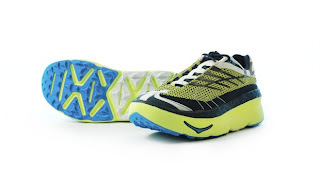 I'd spent many many years in Brook's Adrenaline - they gave me great support for my pronating feet. But after the injury I realized maybe I needed less help and more self-made stability and support. I put some serious miles in a pair of Newton running shoes, which are meant to assist with mid-foot landing and prevent heel striking. They did me pretty well. Then I bought some Saucony's which had way too much toe box room for me. 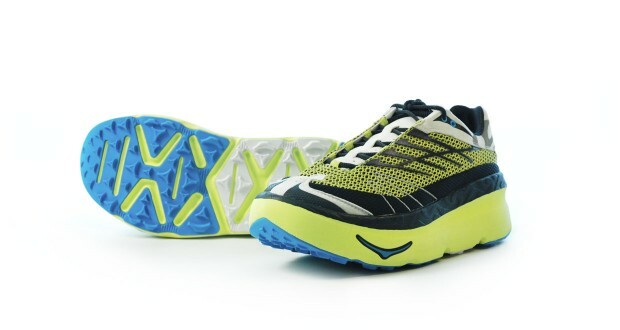 And then a few weeks before the marathon I was told about Hoka One running shoe. I heard they were crazy looking, pretty tall but really really good for knee issues. I tried a pair out at a local running store, read a ton of reviews and decided to make the plunge. They are pretty costly but I thought it was worth a shot. They definitely start conversations while waiting in the port-o-potty line. They are cushiony but not heavy. I worried if it would feel too soft after a number of miles, but they never felt heavy. I do find that when I get tired and start to shuffle, the shoes will catch and so I'm forced to continue to pick up my feet and keep my form. On trails, they really seem to grip the rocks well and I feel pretty comfortable making my way down a rocky trail. PR, PR - 2011 is my year of PR's! 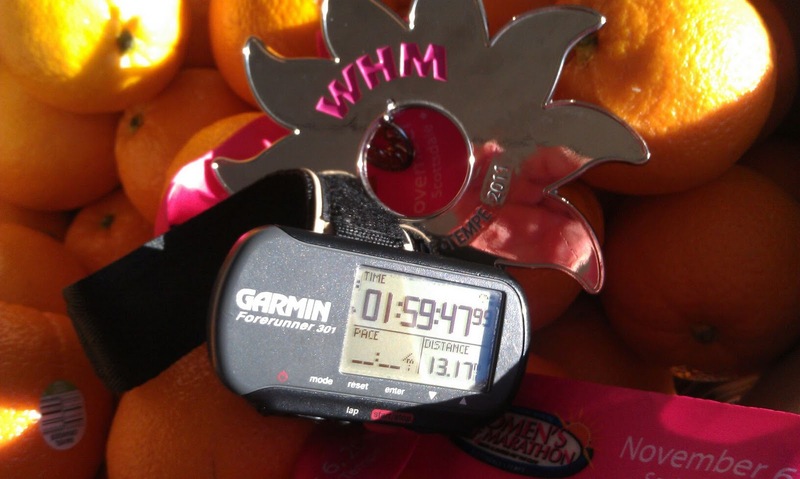 This morning I ran my 9th half marathon: The Women's Running Magazine Half Marathon. It's such a fun event! The Swag bag is pretty and I used last year's swag bag to carry lunches and stuff to work until it finally started to fall apart about a month ago. The Expo - also full of super cute girly running stuff and I dropped some $$ I shouldn't have BUT ... anyway! The course starts in Downtown Scottsdale and ends in Tempe. It's a big race but not huge - about 7000 runners. Enough for a lot of energy but not SO much that it's a fiasco. Loved the course. We went through downtown, we ran along the canal and through Papago Park and then ended at Tempe Beach Park. Loved it. I didn't have a STATED goal of breaking 2 hours, but it was a secret hope. And I made it! Just barely ... with seconds to spare. But I was SO SO pleased! And I had nothing left in the tank - I left it ALL out there. 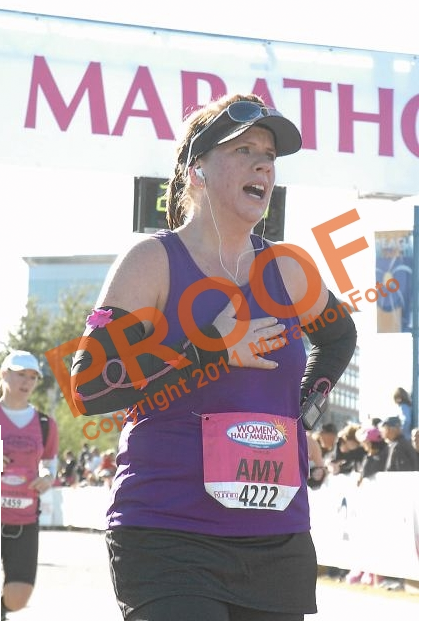 When I realized I could make it - but might not - I had to push and I thought that finish line would never come. But it did - and *I* did it! This race is significant for me because I ran it last year in a LOT of pain - on my tip-toes and found myself run-crying for part of it. It took me 2:35 to finish. It was amazing to feel SO GOOD this year and so strong. This made Personal Record #5 for me in 2011. It's been an amazing year! Mimosas and Medals at the Orange Table to celebrate. Woot! Woot! And sometimes it's nice to get a high five! to let EVERYONE know about your award! I had a great morning today. 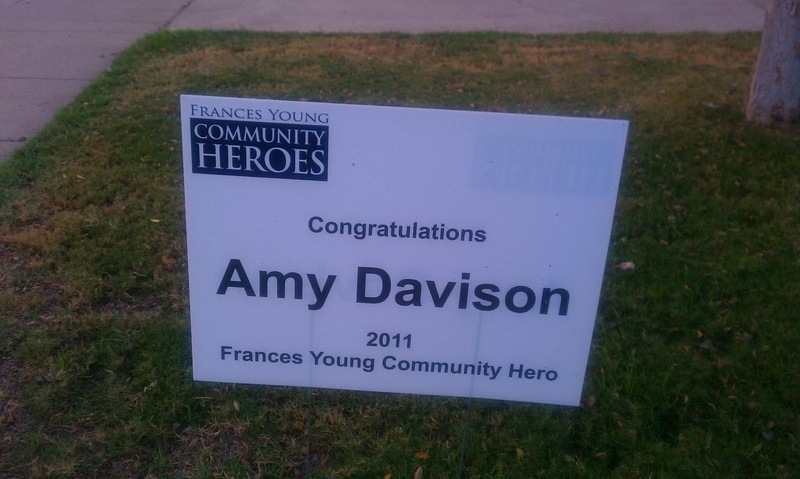 I was nominated and chosen as a 2011 Frances Young Community Hero for my work in the community. It's truly an honor. 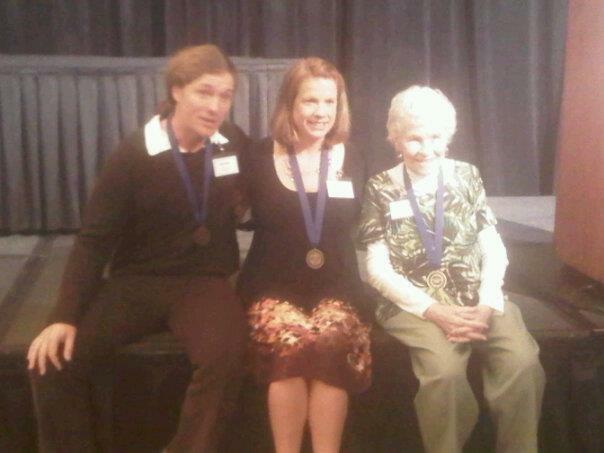 Frances Young was an extremely active member of the Scottsdale community for many years. For nearly a half century she mentored, advised, assisted and championed numerous local organizations and causes — simply for the good of the community. According to the committee press release, Frances summed up her life by saying, "I’ve gained far more than I ever gave. That’s what I want everyone to know." Frances died in 2009 in her late 80s. For 13 years a committee has received nominations and selected three people to be honored as "community heroes" -- I was selected for 2011 along with two other AMAZING people. Scottsdale Healthcare to make suffering people more comfortable. Inspiring! 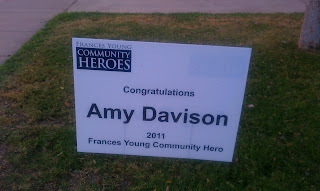 It's an honor but also quite humbling. I'm so happy that I'm able to inspire people and that I'm able to actually make a difference with my time and energy. But I look at so many other people doing so much more and feel like this "high five" was a nudge reminding me what I still can do. I've got more in my tank. My parents had a BLAST and reveled in my praise this morning. They are so cute. And a little bit naughty ... but after I get copies of some of the pictures I might humor you with parent stories later. Now off to bed. I have a Charity Chicks event to fret about all night. Ticket sales and Facebook RSVPs don't reflect the numbers I was hoping to see tomorrow BUT I expect a lot of last minute attendees and think the event will turn out GREAT. But I have some graphics and signs to build tonight. You'd think with all the praise I get and awards I win, some day someone is going to figure out I don't really know what I'm doing!! It always works out somehow ... ! While you're online . 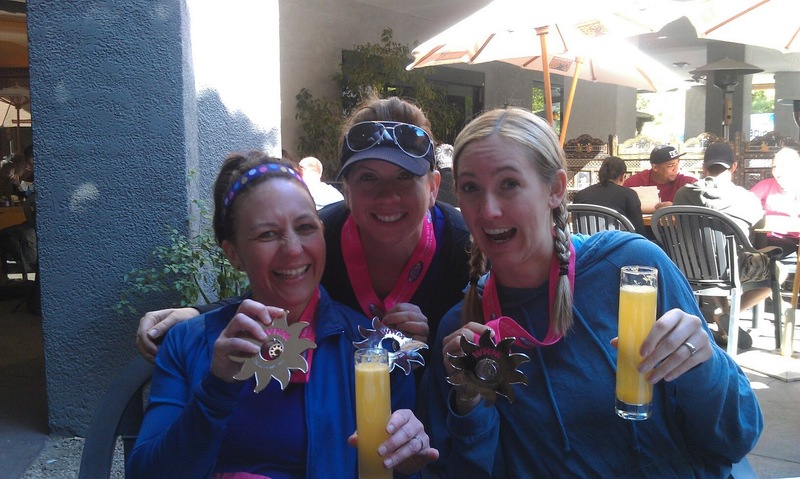 . .
Run with the Cholla Chicks! What's Next? The Life, The Adventure!